You’re about to see the most hyped, promoted, and discussed event management phenomena of the decade. Here it comes. Ready? That’s was it. Yep, the hashtag. It has the potential of a child prodigy, and yet too often, its potential is squandered. Its promotion, overhyped. Its power, underutilized. So how can you use it wisely, effectively, and powerfully? #PullUpaChair. Think of a hashtag as a watercooler. A watercooler around which a conversation is had, where interested parties gather to hear what others are saying about a specific topic and be heard. Technically, a hashtag merely enables the sorting of conversations on social media platforms. People can search for or click on a hashtag to see what others are saying on the topic. A common misconception is that a hashtag can be “owned.” Anyone can start a hashtag, but anyone else can join it. By establishing a hashtag for your event, you’re setting up a watercooler for anyone to use. The more specific your hashtag (like #CompanyXParty2016) the less likely it is you’ll overlap with others, as you could with a more basic hashtag like #HolidayParty. Then, get the word out! Print it on the invitations, tickets, parking passes—anything! We’ve all heard the plea: “Are you all using our hashtag? Make sure you use our hashtag in your tweets!” Here’s the problem: merely demanding that people use your hashtag is a weak argument. Your desire to have a trending topic probably isn’t in your attendees interest. So give them a reason to use it! One good reason: personal publicity. Especially at professional networking events, attendees will appreciate recognition. Displaying the social conversation on screens is an easy way to do this. Another incentive can be giveaways. “Use our hashtag, and be entered to win an iPad” is a compelling incentive. 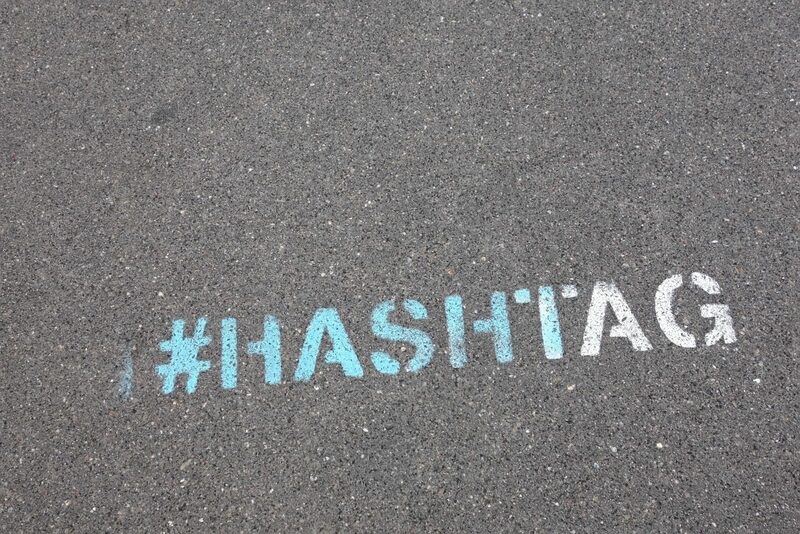 Once you’ve established your event’s hashtag, provide some conversation starters. Ask questions that give your attendees to show their knowledge, experience, and philosophies. Then let the conversation evolve. The less self-promoting and the more attendee-promoting the social media conversation, the more likely your hashtag is to take off. After all, everyone loves to talk about their own ideas. No, hashtags are not without risks. I was at a conference of personal finance bloggers several years ago. At one point during the conference, the hosts invited their sponsor onstage for a chat. The sponsor was a credit card promoter. The personal finance bloggers did not take kindly to the endorsement, but you wouldn’t know if from the faces on the crowd or their composure in the hall. Instead, the hashtag was taken over by the offended attendees, trashing the speaker and the hosts while they spoke. This is the risk of freedom of speech, a risk that can be heightened by the safety of hiding behind a screen while “speaking.” There’s no way to kick people off of a hashtag like one could with an account. It’s a conversation in the wild, and it can take on a life of its own. See if you can guess how these hashtags backfired, then click here to read about what happened. If all else fails, pay for promotion. Every event planner’s dream is for their event to be such a smash success that the hashtag starts trending on social media. That would mean that the buzz surrounding their conference or party was so heightened, that it was among the most popular social conversations in the country. Well, that does happen but it’s the equivalent of winning the social media lottery. The one way to ensure your event trends? Pay for it. Promoted hashtags are guaranteed to appear at the top of the “trending topics” list, which will encourage more people to join your conversation. Once again, money talks (and trends).